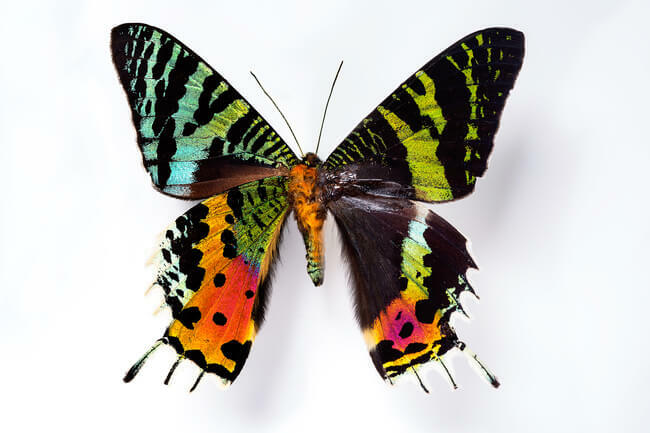 National Geographic photographer Robert Clark has been cherished the love for butterflies since he was a kid. He grew up in western Kansas, right along the monarch’s migratory path, and likes to remember days when he used to go there with his friends where numerous monarch would just land on them and cover them all. When he became a professional photographer he became kind of obsessed with majestic colors and contours of the butterflies’ wings. Along the way, he realized that there is a reason for that kind of beauty butterflies possess – it helps them survive. 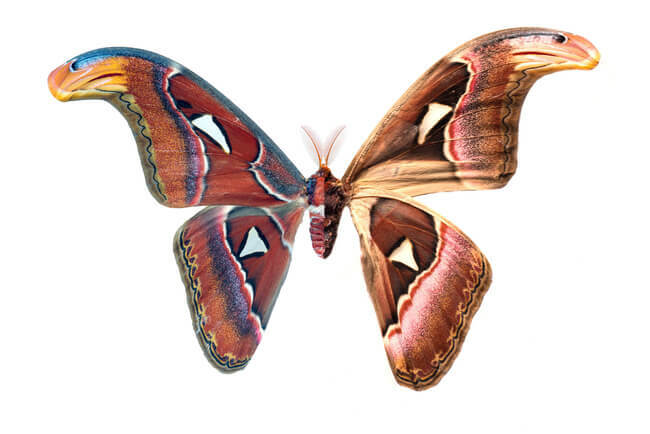 At first, he has noticed that many butterflies and moths have different colored parts; the top and the underside of the wing are visually quite different. “It’s really quite shocking. On the bottom side, one of them looks like a brown, deadish leaf, and then on the top side, it’s blue and orange. 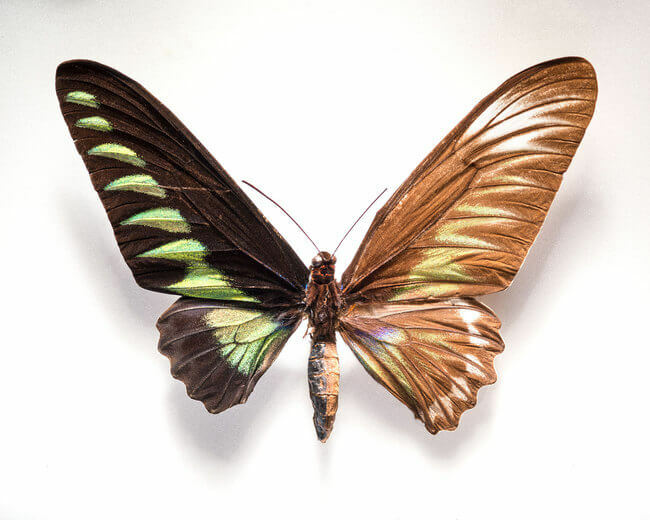 It’s the perfect example of camouflage,” says Clark about the Indian leafwing butterfly. He went deeper in his interest for this issue and visited the Academy of Natural Sciences in Philadelphia. 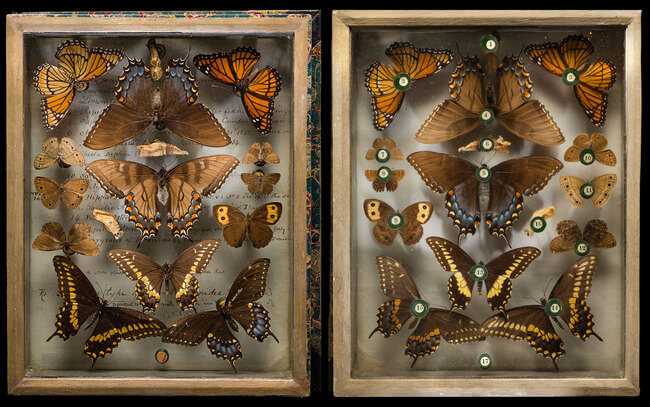 There he first saw the massive Victorian-era butterfly collection of American naturalist Titian Ramsay Peale. The construction of the “Peale Box,” which lets viewers see exposed individuals from above and below, inspired his further work. 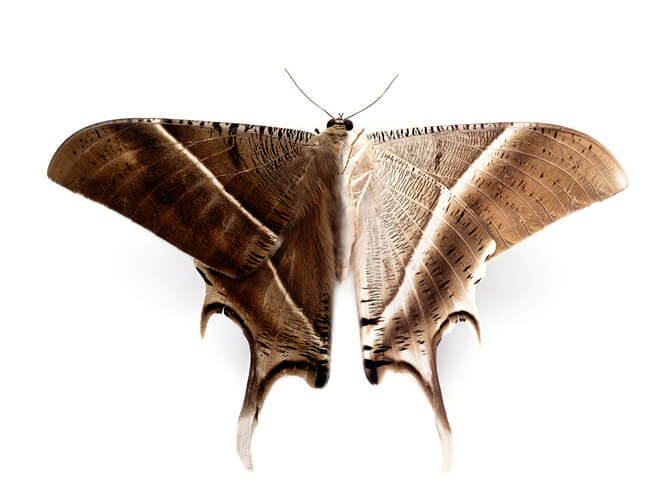 In the photos below you can see his work inspired by the dualistic beauty of butterfly and moth wings. What he did are composed photos where you can see both, top and bottom of the wing, side by side. 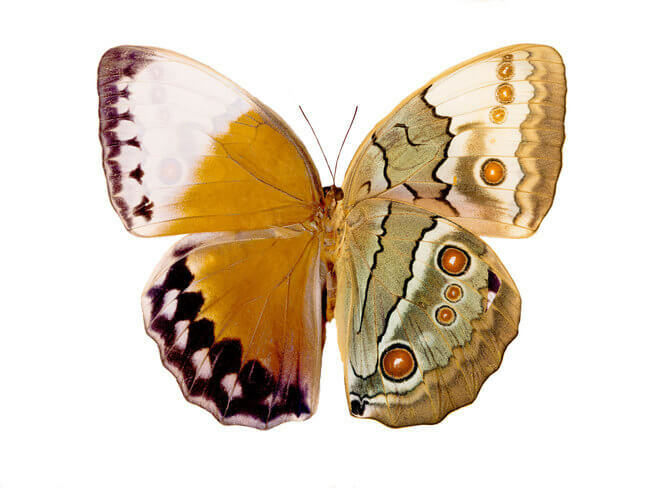 Top of the wings is on the left, and the bottom is on the right side of the photo. “The colors are for blending in with flowers and sexual attraction,” Clark explains. And a leaf-colored part, as his daughter already knows is for – “So it doesn’t get eaten,” explains Lola. See more of Robert Clark work on his website and Instagram.